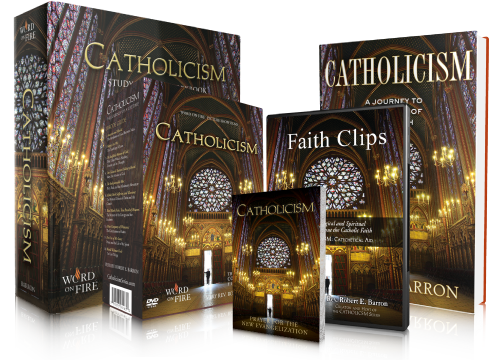 In Catholicism: A Journey to the Heart of the Faith, Bishop Barron seeks to capture the body, heart and mind of the Catholic faith. 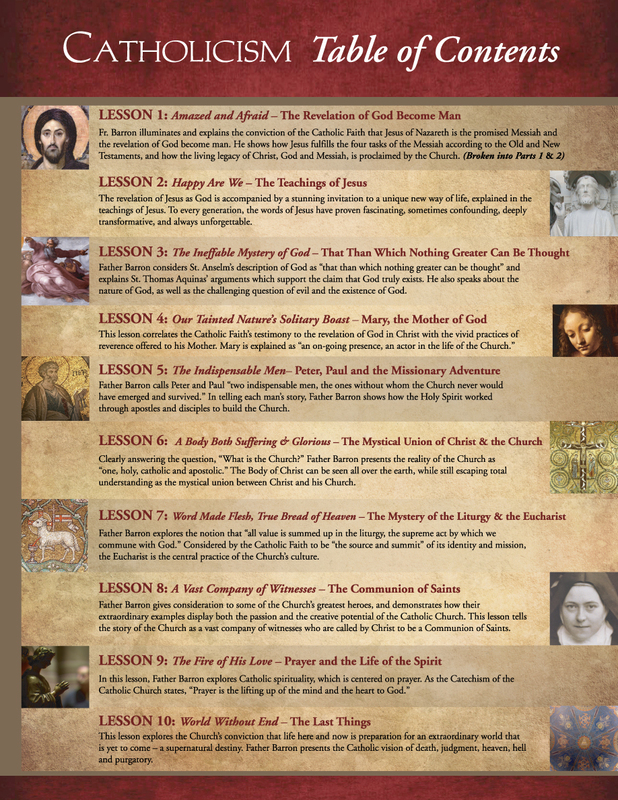 Starting from the essential foundation of Jesus Christ’s incarnation, life, and teaching, Bishop Barron moves through the defining elements of Catholicism – from sacraments, worship, and prayer, to Mary, the Apostles, and Saints, to grace, salvation, heaven, and hell – using his distinct and dynamic grasp of art, literature, architecture, personal stories, Scripture, theology, philosophy, and history to present the Church to the world. 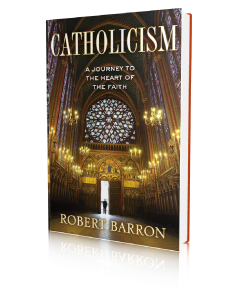 “Father Robert Barron’s great gift is to wed intellectual depth with clarity and vividness of expression. 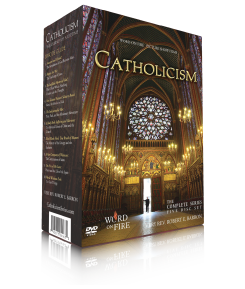 His Catholicism: A Journey to the Heart of the Faith is a superb exploration of the Catholic vision that seamlessly unites theological reflection and masterpieces of architecture and art. 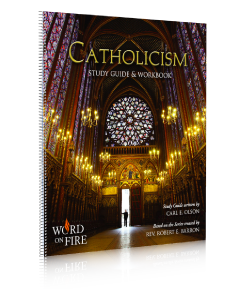 The story he tells comes truly alive in his portraits of concrete men and women who, in every age, have lived the journey of faith to the full."